We will be having a movie day to celebrate Earth Day! 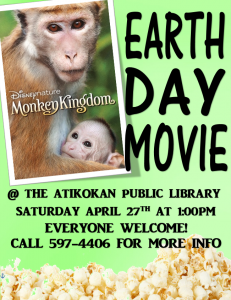 Earth Day Movie at the Atikokan Public Library! Saturday, April 27 at 1:00PM Everyone Welcomed.